The Driving Academy is dedicated and committed in delivering quality driver training to all of our customers. We’re a very professional company with very high pass rates for all of our services and we pride ourselves on having the best professional driving instructors in Keighley. If you’re looking for intensive driving courses in Keighley or just want weekly driving lessons, then we can provide you driving lessons in Keighley that suit your convenience. You can find the costs for driving lesson prices for Keighley on a little further down on this page. A money back guarantee - Yep, that's right and you did read that correctly. We believe in offering you a money back guarantee on your driving lessons in Keighley if you're not happy with the driving lesson that you've just had. You can read more about this in our FAQ section below. Also, by using our structured "learn to drive the easy way" program, we are confident you will need fewer lessons than any other driving school. This in turn will mean you end up spending less money on lessons and in the long run helping you save up to £500. How does the money back guarantee scheme work? The main reason why we offer a money back guarantee scheme is to ensure that all of our driving instructors in Keighley give you a good quality of service. After all, our business is dependent mainly on recommendations so we want our reputation to remain intact. So, if for any reason that you feel that any one of your driving lessons was not beneficial to you and your time was wasted, or even worse still and that you didn't learn anything, then we will give you a full refund for that lesson. We want all of our customers to be happy and we know how expensive learning to drive can be so we want to ensure that on every single one of your driving lessons that learning definitely takes place and you are getting value for money. We always try to ensure that you start and finish your driving lessons where it's most convenient for you. Whether this will be at home, college or even a friends house. However, one thing that we ask you to take into consideration is that please try to ensure that your driving instructors time is used efficiently. For example, it wouldn't be convenient or make much business sense if you asked your driving instructor to pick you up from Keighely and drop you off in Manchester because your instructor now has to take an extra hour travelling back to Keighely for their next customer so from a business perspective this is not viable as the instructor would lose not only time but also money for fuel too making such as round-trip. ▸ What car do I use? It's normal practice that you would use one of our cars for your driving lessons in Keighley. however, if you would prefer to use a car that you have access to then it's perfectly ok to use your own car for your driving lessons. Providing you have the correct level of insurance. You can even use your own car for your driving test too but make sure that you have a secondary interior mirror for the driving examiner to use when you go for your driving test. ▸ Where do I take my test? There are two tests you will have to take in order to obtain a full driving licence. The first one is your theory test and the second is your practical driving test. The Driving Academy offer a variety of driving test centres to use but primarily you should choose closest to where you live. On average, the waiting times to take a practical driving test is around 3 to 4 weeks. Remember, you can't even book a practical driving test until you have first passed your theory test. Passing your driving test can cost a small fortune if you’re not careful and can sometimes take much longer than what you first anticipated. That’s why it’s very important to try to find the right driving school for you FIRST TIME! We’ve put together our top 5 tips to help you pass your driving test as quickly as possible and hopefully save you money. Tip 1 – Choose the right instructor for you. Ask friends or family who they used and ask what they thought of their instructor or driving school and try to get a driving instructor that’s fairly local to you in Bradford. Don’t just make a decision on price alone. Tip 2 – Get value for money. Make sure you don’t choose one of the driving schools in Bradford that does “piggy backing”. This is where at the end of your lesson your instructor picks up their next pupil towards the end of your lesson. Remember, it’s your time that your paying for so you want to get your full monies worth. Tip 3 – Be consistent. The more consistent you are having driving lessons then the quicker you should learn. If you leave your driving lessons for weeks apart then you may find that you’ve forgotten some of the information from your previous lessons. By having lessons weekly you’re more than likely to make steady progress. You could even consider having two lessons per week and therefore halving the amount of time it would take to reach test standard if you where to do just one lesson per week. An other option for you is to perhaps consider doing two hour lessons or perhaps even an intensive driving course. An intensive driving course is not for everybody so maybe speak with your driving instructor first before committing to taking one. Tip 4 – Get some private practice. Getting private practice is a great idea but is not always available to everybody. However, if you have the opportunity to go out with your parents or other relatives or even a friend then we recommend this as a good option to help you to reach driving test standard quicker. Obviously there are laws to going out driving with somebody other than a driving instructor such as car insurance and no motorway driving so speak with your driving instructor first. They will probably also give you some advice on what and where to practice. Tip 5 – Study using the correct resources. Learning to drive is not just about jumping in a car and making it move, there’s a lot more to driving than this. Like any skill, it can take time to master and to become confident. That’s why we recommend training materials such as books, apps and even videos on YouTube. As you know, before you can take your driving test you first have to study and pass the theory test. From our research, we know that the theory test for cars has a reasonably low pass rate but you can improve your chances of passing first time by revising using the correct resources. In order to drive safely and not become a liability to other road users, understanding the rules of the road and the correct driving best practices are essential for safe driving and will put you in good stead to help you pass your driving test first time. At The Driving Academy, we have a whole host of resources to help you with all of this. Driving instructors in Keighley – what is one? Ok, so just what exactly a driving instructor? Without insulting your intelligence, I just want to give you a very quick broad-brush overview on the job of a driving instructor. Once a person has successfully passed all three exams, they can then apply to the DVSA to have their name put on a register of Approved Driving Instructors, hence where the initials ADI come from. A driving instructor can either work for a company such as The Driving Academy or they can set up independently and work for themselves. It’s absolutely their choice. Many driving instructors choose to work for a company for their first year or so once they first qualify, learning the ropes as so to speak. Training to become a driving instructor can in some cases take up to two years but most generally do it sooner that this. The training consists of theory and hazard perception tests, a driving test whereby a very high standard of driving is required and then the third and final exam is the ability to instruct exam. Check out our driving instructor training page for more information on this. If a potential driving instructor successfully passes the first and second exam, then once they’ve completed a minimum of 40 hours worth of training they can then apply for a trainee teaching licence. A trainee licence gives the potential instructor an opportunity to practice their craft but with real life students. This is a very useful way for a driving instructor to gain the experience and to get valuable practice time for their third and final exam. Their are many trainee driving instructors who are better than actual driving instructors. Some of the reasons for this could be because their training is fresh and up-to-date. Not only that, a trainee driving instructor could have other valuable skills, for example, it’s not uncommon for a police officer or a teacher to train to become a driving instructor. The majority of driving instructors would have gone down the trainee licence route – some see it as a natural stepping stone to their career. At The Driving Academy, we will on the odd occasion use a trainee driving instructor as we have to keep the industry turning and due to the fact that we are an ORDIT registered training provider, our trainee driving instructors are probably better than some driving instructors who have been doing the job for many years. Driving schools in Bradford ? In essence, a driving school is a person who has passed the DVSA qualifying exams to become a driving instructor and has committed to run a business whereby teaching people how to drive. A driving school can be either a single person or a group of people. For example, if you have a look at some driving instructors fairly local to Bradford you will probably see individual school cars with their name on a roof box such as Superdrive Academy. Or you may see a group of cars such as BSM floating around the town. A driving school will generally teach people to drive to pass their driving test but they could also have students who can already drive for example foreign students who can already drive but just need to exchange their driving licence for a UK one. The first big driving school and professional Driver training began as a business in the United Kingdom in 1909-1910. The British School of Motoring (BSM) was founded in 1910 in South London by Hugh Stanley Roberts. It offered hands-on training and courses in driving skills (managing the controls and road aptitude) and repair. It also offered vehicles to drivers who wished to practice. Over a century later there’s probably in the region of 40,000 driving instructors in the United Kingdom. A lot of driving schools can offer a variety of courses such as intensive driving courses or sometimes known as crash driving courses. I’m not too sure the “crash driving” is the most appropriate wording but hey ho. It seems to have picked up this nickname from somewhere and stuck. Driving lessons in Bradford ? A driving lesson will have a set time length such as one hour. It could be more but this all depends on the offerings of the driving school. Some driving schools in Bradford offer intensive driving courses and some driving schools in Bradford can offer refresher driving lessons too. In a nutshell, a driving lesson will have a prearranged start and finish time. It should also have some structure to it, so for example a start, a middle and an end. 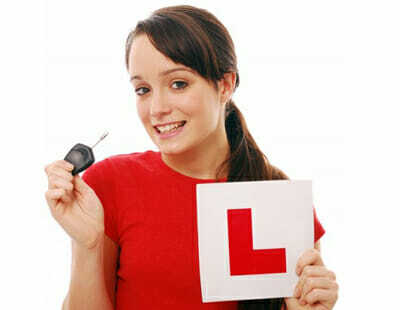 The overall objective of a driving lesson is to educate, inform and up-skill the student. It’s also important to mention that value for money should be given too. If none of the above are part of a driving lesson then its very unlikely that any learning will take place. In some cases, driving schools can lose clients if this is the case. Learning to drive has changed over time and now it’s leaning towards client centred learning. This is where the driving instructor will place the student at the centre of their own learning. This has proved to be popular throughout the education centre so driving instructors have been guided and sometimes re-trained to adopt a client centred approach. Coaching is also a strong element in giving driving tuition and can be part of your driving lessons in Bradford.